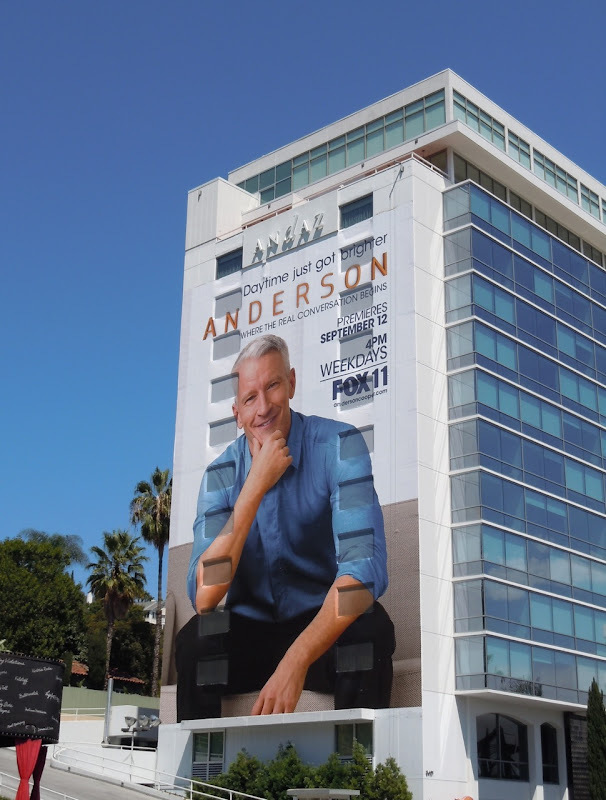 With the new TV season looming, the television billboards really have been coming thick and fast in recent weeks, so here's a super-sized billboard for Anderson Cooper's new daytime talk show to kick off another TV WEEK here at Daily Billboard. 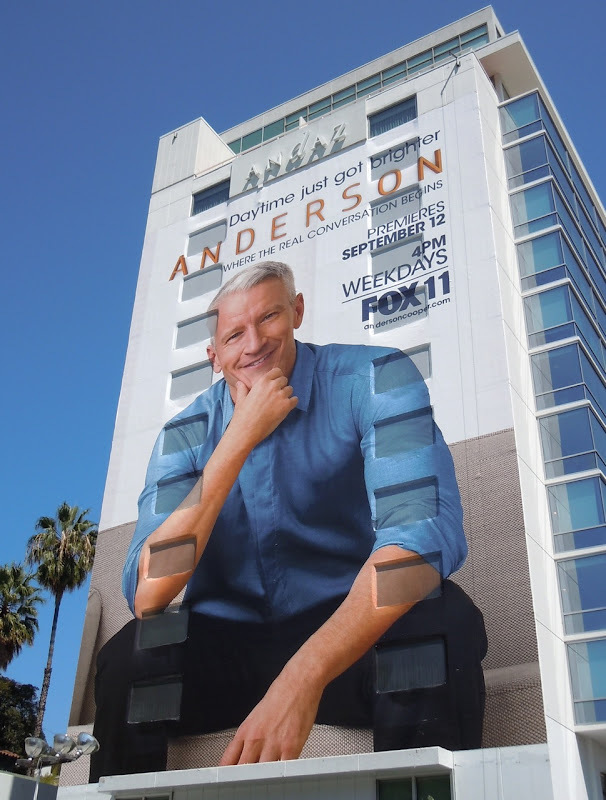 Not content with his evening show Anderson Cooper 360˚ on CNN, the giggling TV anchor and journalist wants to brighten everyone's day (that handsome face and winning smile are sure to help). 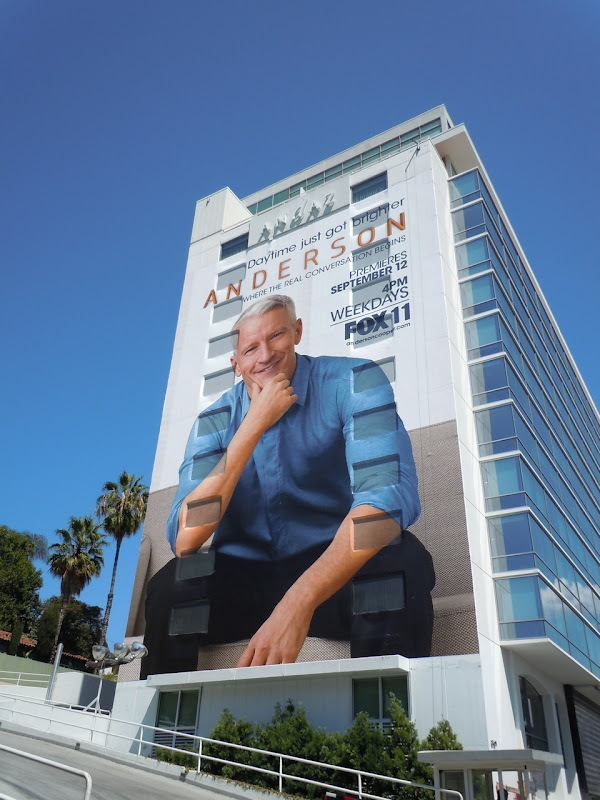 This giant Anderson TV show billboard was snapped along Sunset Boulevard on the side of the Andaz Hotel in West Hollywood on September 5, 2011. 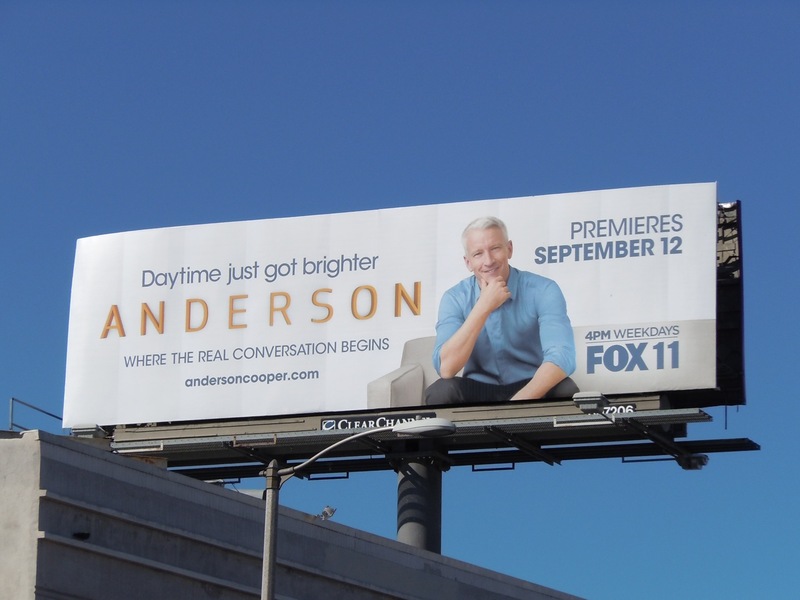 UPDATED: This standard size billboard for Anderson was snapped along La Brea Avenue near Wilshire Boulevard on October 1, 2011.